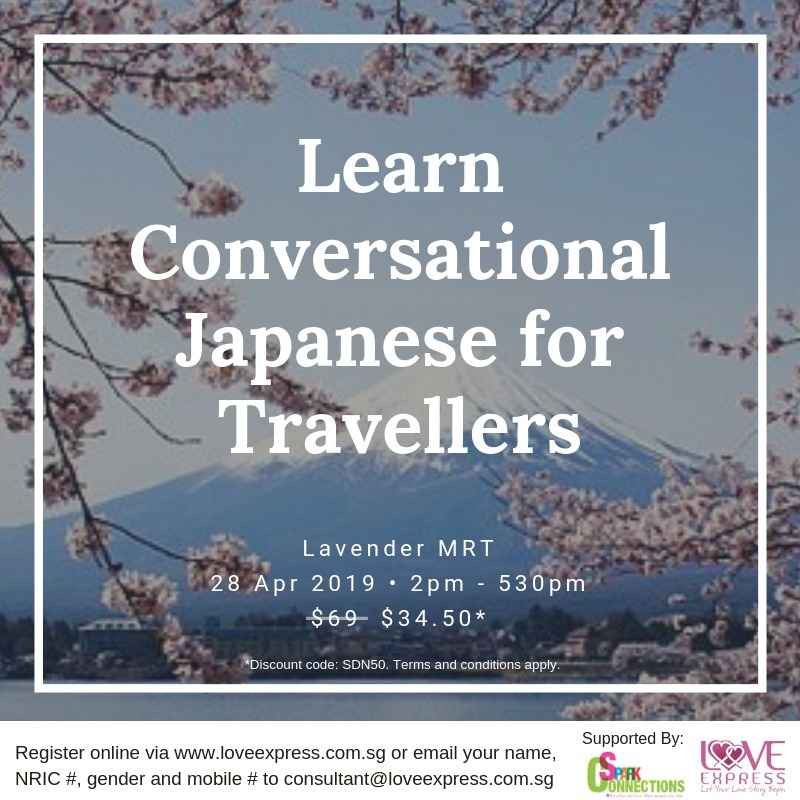 This workshop is specially designed for travellers interested in visiting Japan. You will learn the basics of conversational Japanese and read the Japanese alphabets. You will be taught by a passionate teacher who has been teaching private lessons since 2009. Price includes room and trainer fees; teaching materials, refreshments, facilitation and mingling.